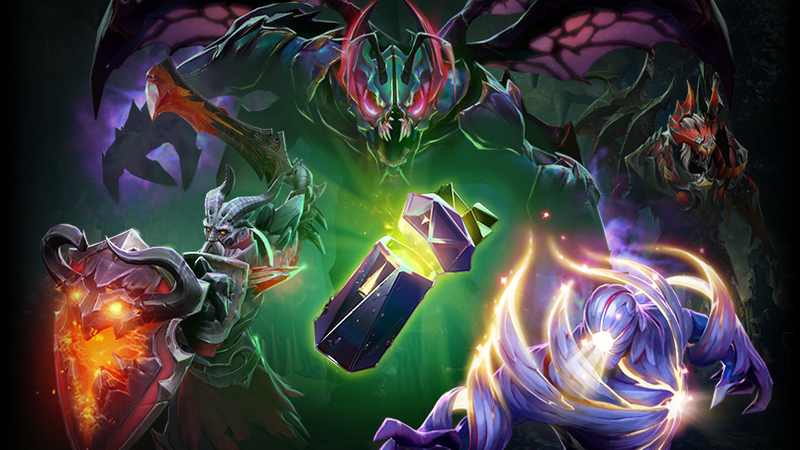 Players in the Netherlands can now see what’s inside a Dota 2 loot box before opening it. The change is part of Valve’s shifting approach to how it handles microtransactions in some European countries that have made moves to regulate gambling in games. 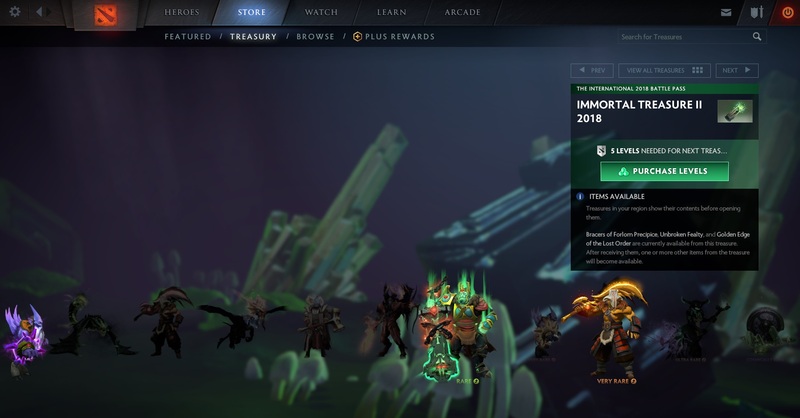 Yesterday, a Dutch player, who goes by Larhf on the Dota 2 subreddit, posted a screenshot of what it looked like when they tried to buy a new treasure (the Dota nomenclature for loot boxes) containing skins for the game’s characters. Rather than show Larhf everything they had a chance of getting, the game only showed them what was actually in the treasure. According to more information Larhf provided in the comments, it wasn’t possible to open multiple treasures at once, the animation for opening them had been removed, and they still couldn’t be re-sold on the Steam marketplace, which Valve took down for Dutch players in June. Lots of other players from the Netherlands corroborated Larhf’s account in the comments of the post, many sharing their own screenshots of what was in their next treasure. It might seem like this would provide an easy way to game the system, only opening treasures when the player actually wanted what was inside, but as Larhf points out, the only way to get something different to pop up in the treasure preview is to buy the current one, meaning their contents are tagged to a player’s account rather than to individual treasure instances. If Larhf didn’t want the Ax skin shown in their preview, they’d still have to buy the treasure to trigger a new drop which they could then preview again to see if it was one they actually wanted. These changes come after Dutch Gaming Authority announced in April that Valve wasn’t complying with the country’s Betting and Gaming Act because the value of loot boxes were predicated on chance, and their contents could be sold on Steam’s marketplace. Then in June, Dutch Steam users received a notification from Valve telling them the company had removed item trading and Steam Marketplace transfers related to both CS:GO and Dota 2. Valve stated that it didn’t agree with the Dutch Gaming Authority’s findings, but that it needed to take action in the meantime while it tried to make its case to the regulatory agency. Valve did not respond to Kotaku’s request for comment. Other countries like Belgium have also been giving loot boxes more scrutiny and putting pressure on companies like Valve, EA, and Blizzard to remove the chance element involved in paid loot boxes. While more developers and publishers have been disclosing the odds behind their loot boxes, Valve’s move in the Netherlands to actually let players preview what’s inside each one sets a new precedent. As someone who has spent over $100 on treasures on Dota 2, I know all too well how the different elements in the game can conspire to encourage impulse buys. Sometimes opening a treasure after a brutal string of losses acts like an endorphin boosting pick-me-up, while other times there’s the desire to take one of your favorite characters and show them off with a cool, flashy new costume. I’ve played more than 1,000 hours of Dota 2, so I have no regrets about giving Valve my money. The chance aspect is what always feels pernicious though. The more treasures you buy without getting the thing you want, the more pressure you feel to keep buying until you finally do get it. Being able to preview what’s inside doesn’t make it any easier to get a prized outfit for a particular character, but it does help put the breaks on an impulse buy when you see clearly that it won’t actually drop the first time. It’s unlikely players in North America will see this type of change anytime soon, given the lack of regulations or legislation surrounding loot boxes, despite the occasional politician’s comment over the past year. Valve could also very well convince the Dutch regulators to change their minds. Still, this helps show what’s going on behind the curtain and how easy it would be for Valve to flip a switch and change how microtransactions for its games work.